Our senior researcher Prof. Ken Kahn of the University of Oxford has been in the United States giving lectures and workshops on his work at eCraft2Learn at various high-ranked institutions such as the MIT Computer Science and Artificial Intelligence Lab, Columbia University’s Teachers College, the Association for the Advancement of Artificial Intelligence Symposium and the Goldman Sachs Corporate headquarters. 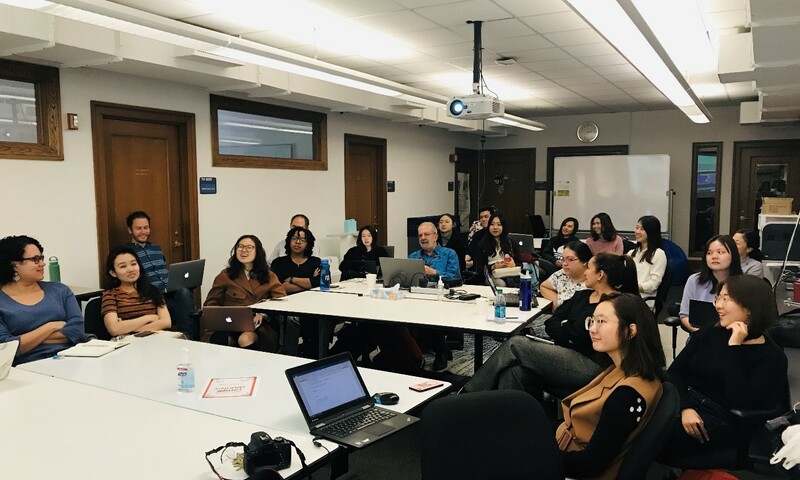 The lectures and workshops included demonstrations of the Artificial Intelligence tools created to allow children use programming for creating apps while learning about technology, computing, psychology, and perception. The slides of the presentation are available at: tinyurl.com.